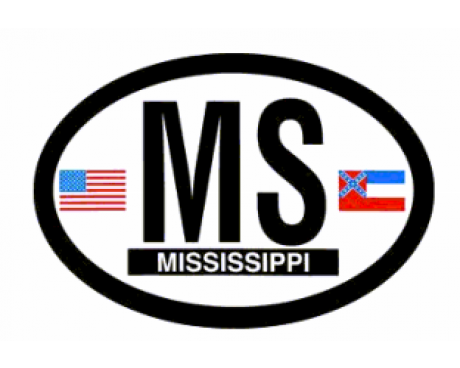 The Mississippi flag, like that of many other states in America, dates back to the Civil War. 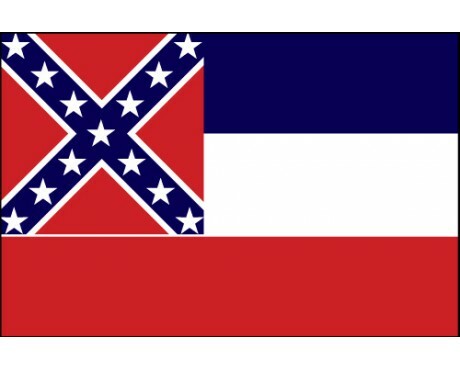 That heritage has influenced the current state of Mississippi flag more than that of any other state, and it is the only state flag to retain the cross from the Confederate battle flag. The Mississippi flag is a horizontal triband of blue, white, and red. The flag's canton features a red square with blue saltire cross. The cross has a white border and contains several white stars. The flag's stripes reflect the state's ties to the rest of nation, while the cross is a reflection of the state's pride in its history. It came from the battle flag of the Confederate States of America, and it remains a symbol of southern independence to this day. 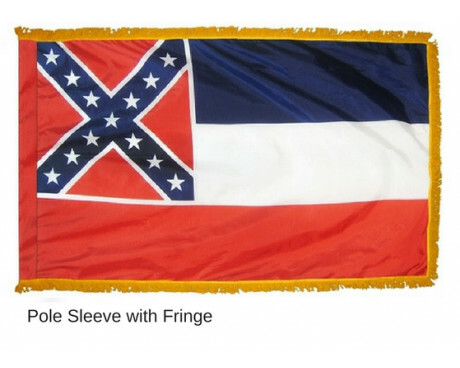 Many state flags can trace their ancestry back to the Civil War, and the state of Mississippi flag is no exception. The state flew a solid blue flag with a white star in the center immediately after it succeeded from the Union, but that flag was soon replaced with the Magnolia Flag. It retained kept the white star on a blue background in the canton, but the majority of the Magnolia Flag was white. It was decorated with a red stripe that ran down the fly and a magnolia tree in the center of the field. Mississippi adopted the flag in 1861, and it remained in use among the citizens of Mississippi until 1894 even though it lost its official status at the end of the Civil War. The current state flag of Mississippi was first adopted in 1894, and it has remained in use for more than a century without any changes. A legal oversight meant that it was not officially sanctioned between 1906 and 2001, but the flag remained in use during that period by both the citizens and the government of Mississippi. The Supreme Court of Mississippi ruled that the flag did not have official status in 2001 due to the original oversight, but the flag was officially readopted shortly after the ruling. The Confederate Battle Flag can still be seen in Mississippi. In 1894 it was incorporated into the state flag, and the remainder of the flag being similar to the Stars and Bars, except the upper bar is blue not red. 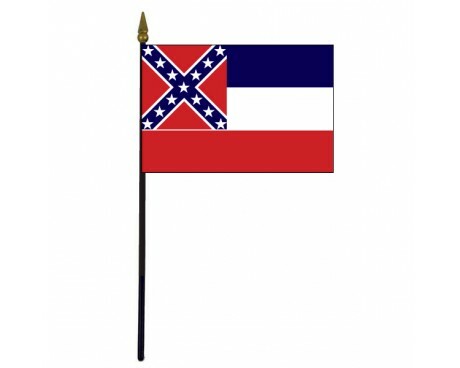 When the Mississippi flag was drawn up, The Battle Flag was never mentioned by name. The history of the state leaves no doubt that this was the intention. 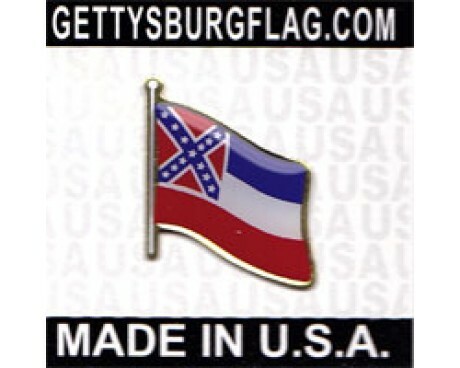 In 1861 Mississippi was the second state to join the Confederacy. During the Civil War it used the Bonnie Blue Flag. The second state flag consisted of a white background containing a magnolia tree, with the Bonnie Blue Flag in the canton. In 1817 when Mississippi became a state it also adopted a coat of arms, and a seal. 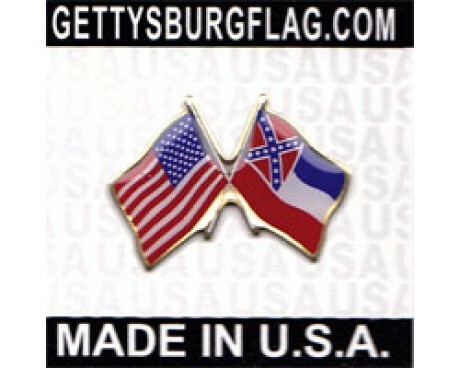 Both were based on a seal of the USA. The arms, nor the seal were used during the time Mississippi was in secession from the Union. The area of Mississippi was ceded to Britain in 1763, and ceded to the USA, in 1783. It became a Territory in 1798, and a state in 1817. Mississippi seceded in 1861, and re-admitted to the Union in 1870.